As mentioned at the end of my last post not only was I going on my first date kinda-sorted organised by my Personal Dating Agent, (she found him but I was the one who got it to ‘date stage’), but it was also my first date in bloody ages. After East End Boy last August I knew I had to disembark from the dating-merry-go-round for awhile. Six Plenty-of-Fish-free months later, I’m ready to jump back on again. 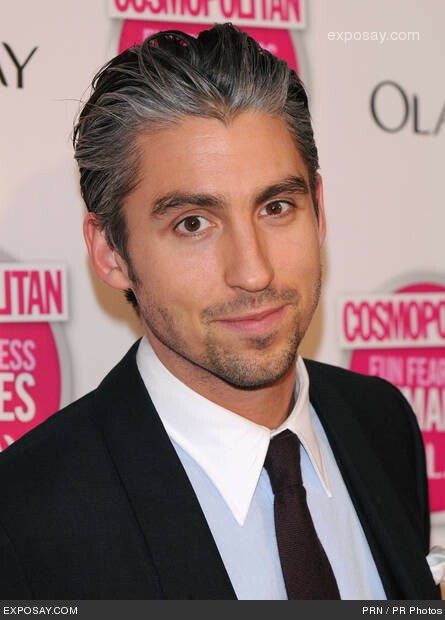 George Lamb - 32, Silyer & Foxy. The Silver Fox – so called because at only 38 years old, he’s already got the whole grey hair thing going on. Luckily it’s in a nice way. He’s not old enough to be compared to actor George Clooney, but not young enough to be compared to TV personality George Lamb. Either way, he’s cute AND grey and was someone that my Personal Dating Agent Natasha found on Match.com. She winked at him and he replied with a message. The way the PDA service is supposed to work is that Natasha messages guys on my behalf and when it gets to date stage – she passes them over to me. Except in this case I was intrigued by what I saw and I couldn’t help but to reply to his message myself. Here started a daily conversation exchange which, after a week and a half, resulted in him asking if I’d like to go out for drinks. 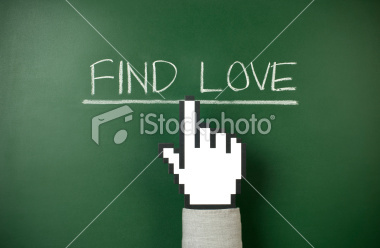 You know me; I want to date but I hate having to rely on online dating. On top of that I never meet guys when I’m out and about, therefore I’m always trying to think of alternative ways to get myself out there. Other than speed dating and singles parties, something I’ve always liked the idea of is a personal matchmaking/ dating service. How cool to have a professional look at your likes/dislikes, values and interests and give you options on who they think would be a good match for you. I’ve considered it (e.g. Paul C. Brunson and Matt Hussey) but because it’s always so darn expensive, I’ve never actually tried it out. “Fool me once, shame on you. Fool me twice, shame on me”. Nice little saying, that. Not sure where exactly it comes from but I do like it. Only thing is, it doesn’t explain what happens when you fool me, THREE times. That’s exactly what I allowed East End Boy to do. Our first date was so enjoyable that I stayed out until 1am on a week night. That same night we made plans to meet up again at the weekend. Last Sunday, despite the fact it was raining cats and dogs and I wanted to stay cosy indoors, I went on our second date. It turned out to be the best date that I’ve had in a very long time. We went for a walk around Spitalfields market and ate dinner and shared dessert at Giraffe. Like before; plenty of good conversation, plenty of laughter, plenty of discovering we had many things in common and generally having a really good time. We got a bit smoochy when it was time to say goodbye (PDA alert!) and he asked the same question he asked at the end of our first date, “when am I’m going to see you again?”. I was crazy busy over the next week but we managed to agree on a convenient day for us both. When I pointed out that we’d be seeing eachother again in only two short nights’ he laughed, he hugged me and he said “you’re not used to this are you?”. I admitted that it’d been a long time. I got home and realised I had double booked myself. I already had plans on the evening I was to meet him. I wanted to see him but I didn’t want to let my friends down, so when we spoke on the phone the following night, I told him I’d do both. I’d spend a couple of hours with my friends and then meet him afterwards. He wasn’t happy with that idea because it would mean we’d only get to spend a couple of hours together. He suggested moving our date to another evening (tonight) when we’d have more time. He said, (NB: HE said), that he wanted to spend time with me to get to know me. I thought it was sweet and I was totally up for the idea of seeing him at the weekend.